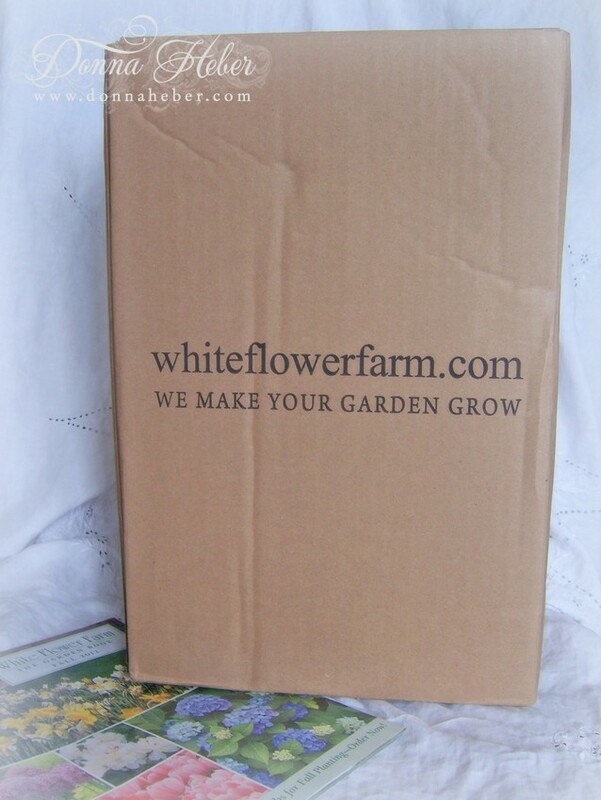 Are you going through garden withdrawal? 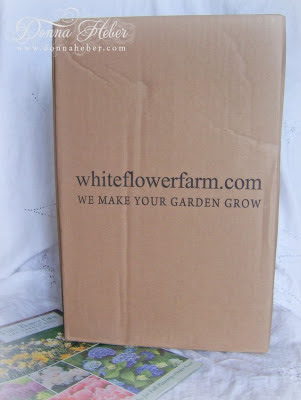 Back in the fall I had a wonderful package arrive from White Flower Farm. 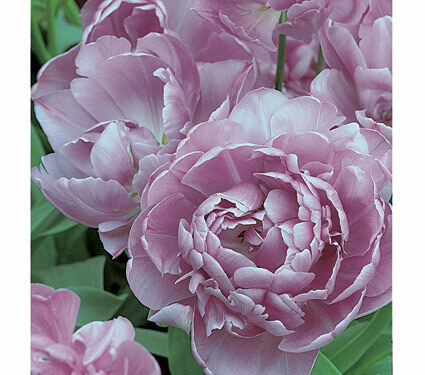 I wasn't sure if I was going to plant any bulbs after the critters dug up my pink tulips, but after swooning over the catalog I just couldn't resist. 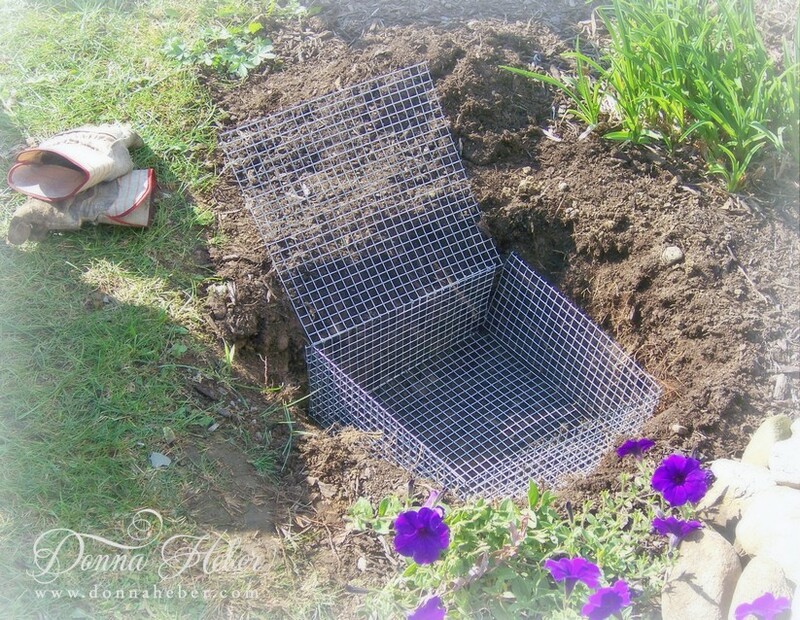 My darling husband helped me dig several areas and we put in cages for some of them. We dug a hole approx. 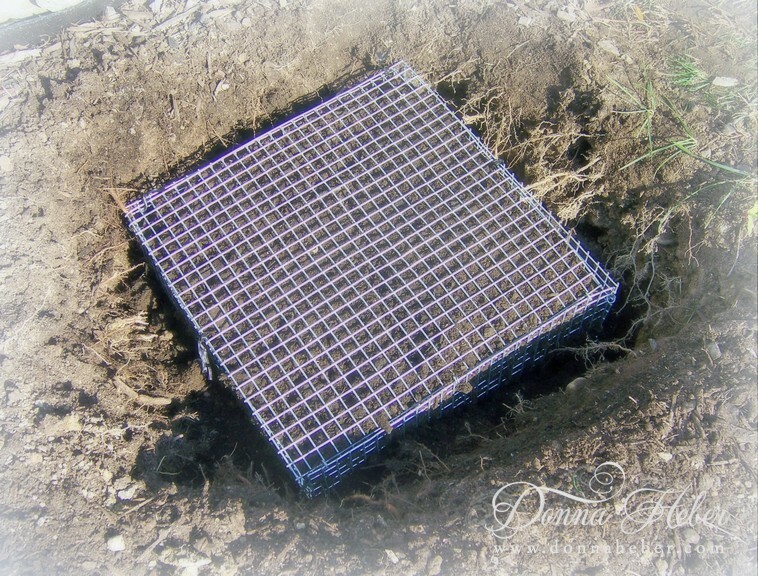 12" square by 10" deep. 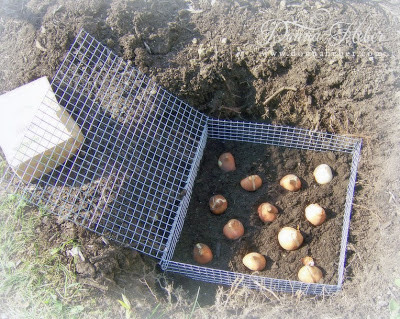 The cage was set at the bottom and filled with a bed of soil for the proper planting depth. 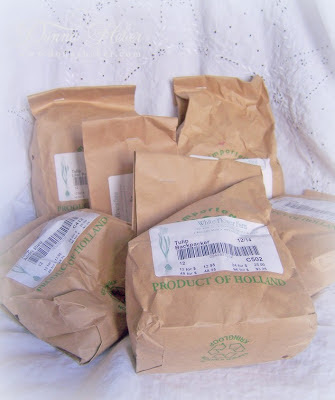 I placed the bulbs on top of the soil (pushing them in slightly) and spaced them according to their label. The bulbs were covered with soil to the top of the cage. We then lowered the top panel and attached the side panels with twist ties. The remaining soil covered the rest of the cage and finally we mulched. 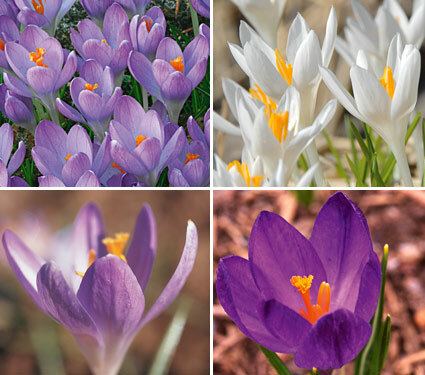 Here are some of the flowers I hope to enjoy come springtime. I also purchased squirrel proof crocus bulbs. I'm assuming these bulbs contain lycorine, a bitter tasting substance that repels animals. I know it will be a few months away, but I look forward to seeing what sprouts! 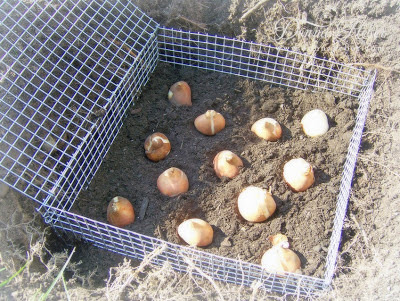 Did you plant any spring bulbs in the fall? Have you been fighting the burrowing critters too? That should work well! 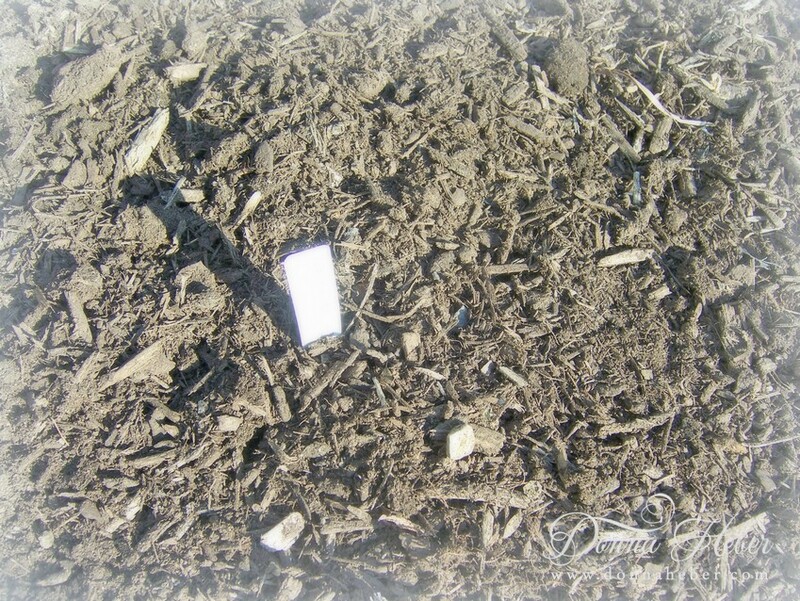 I had some voles get in and make a mess one year. A friend in Virginia has to use cages for that very reason. 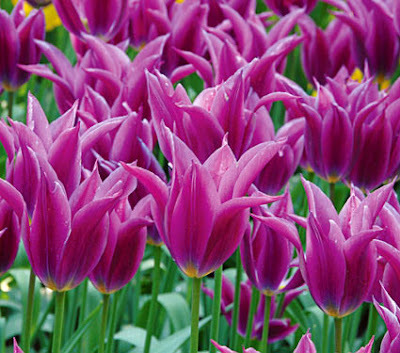 It will be wonderful when your bulbs start blooming! I'm anxious for spring but I have a month to go especially with all the snow we have! That's a great idea, I haven't seen the cages before. Here in London it is the squirrels that pose the most problem, they don't seem to eat the bulbs or corms all the time, they often just dig everywhere and throw out the bulbs in the process. 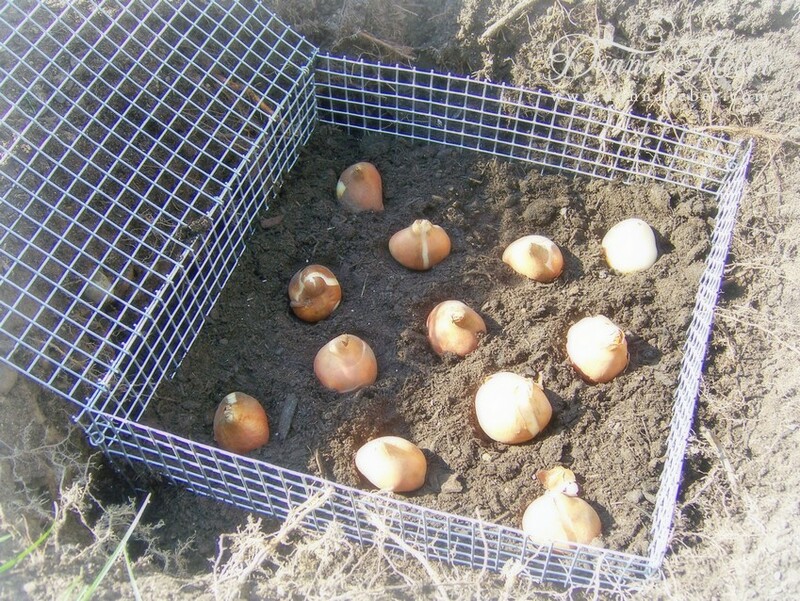 But they do seem to like tulip bulbs for dessert now and then, I have most of mine in tubs with chicken wire on top until they are sprouting. Good luck with your tulips! That is nifty, never knew there were such cages, hope spring comes soon too! 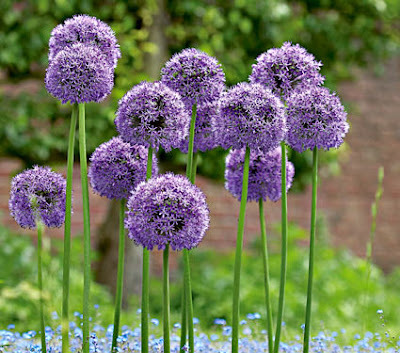 Such lovely flowers to anticipate! 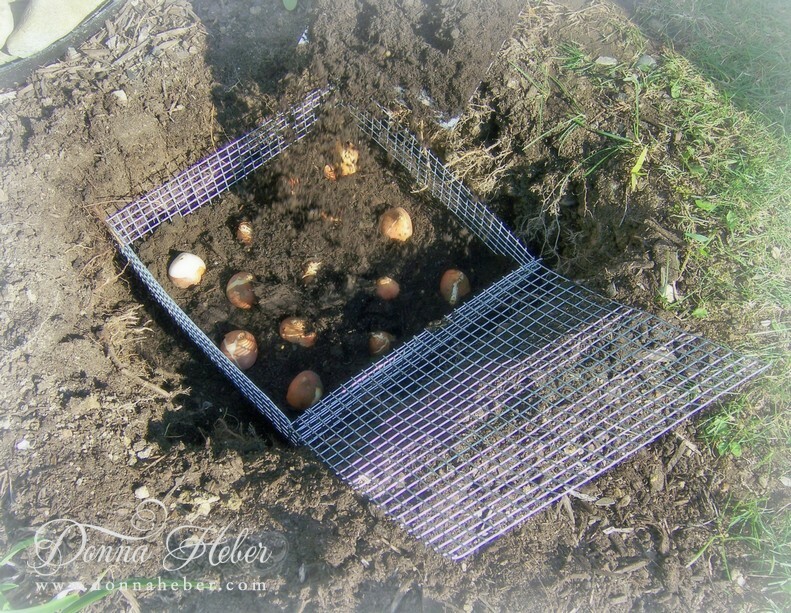 I've never heard of planting bulbs in cages, though it makes sense if you have critters digging them up and/or eating them! That should protect your bulbs. I know it is so upsetting when you plant and the animals come and wreak havoc. You are going to have some amazing flowers this spring! 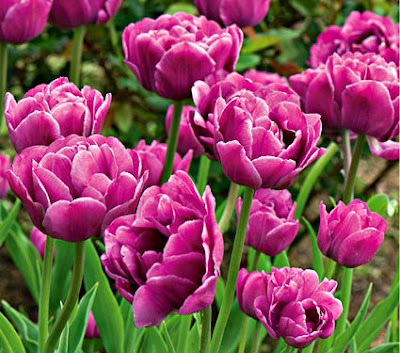 I don't have too much trouble with critters digging up the bulbs, but I do have trouble with the deer eating my tulips! Can't wait for spring, either! I've never seen such cages. It makes sense, though. I doubt the critters will enjoy digging around that wire. Donna Think the critters will have to go elsewhere for their treats.... should be a lovely show in the spring....... thank goodness spring is only a few weeks away. What a lovely result! I never thought of 'cages' before, as there's no need here. I do miss my garden. Yours is wonderful! OH Donna, thank you for sharing this with us, love how you went step by step, I have to try this. Oh my - you will have some lovely bulbs. I found the squirrels in my yard loved the lily of the valley bulbs best. They ate them all the week I planted them. I think they could smell them in the ground! Lovely pictures here! I have never seen your cage idea - that is clever!